As it is a product of KTC, connection is smooth and can be used without any problems. This review is about item#7107947. 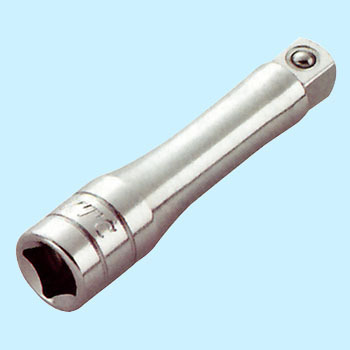 Things included in the socket wrench set are too long or too short, but if there is an intermediate size, you can adjust various lengths to optimize length. very convenient. This review is about item#7107922. This review is about item#7107931. It is a perfect manufacturer and good quality and reliability is satisfactory. This review is about item#7107974. This review is about item#7107965. If there is about 30 cm it will be helpful to do most work such as turn signal exchange. This review is about item#07107983. It is as expected. There is no problem at all. This review is about item#07107965. I mistook it as 12.5. Purchased for twin socket. . . I think that it is easy to use because it is squeezing in the direction of the previous one. . . This review is about item#07107931. I have decided this manufacturer for hand tools in the past. There is no problem with both reliability and durability.